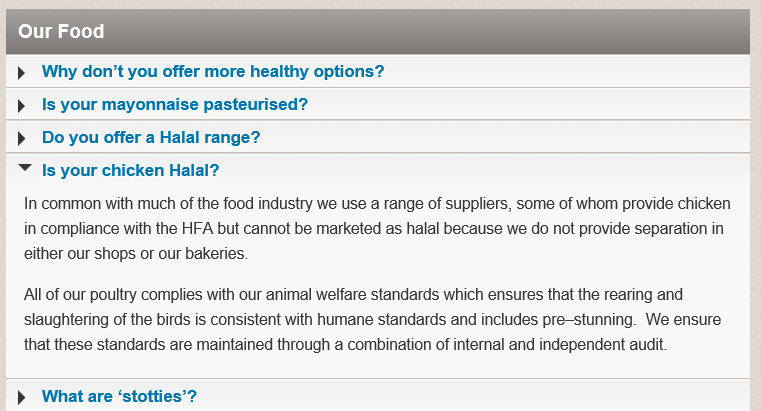 Question: How do you turn otherwise reasonable people into bloodthirsty cash cows? Answer: That’s easy – just follow the formula. First – you need to find some really big lies and keep repeating them. It doesn’t matter that they’re outrageous – repeat them regularly enough with conviction and people will believe you all the same. Second – find a threat to scare people with. That can come from just about anyone but for really effective ‘fear propaganda’ you should identify someone visible but too few in number to stand much chance when the mob turns nasty. Third – identify ‘your people’. This should be a group of people that’s very much bigger than the group you’re pretending is a threat. Fourth – identify victims. You must point to people who have been harmed by the ‘threat’ (even if it’s not true). Without victims to demonstrate the threat it’s harder to convince the mob (and without the mob on your side you have precisely nothing). Fifth – Even though there’s no real threat you need to present yourself as the popular solution to the problem you’ve invented. If possible find ways to pretend that you’re taking great risks on behalf of ‘your people’. 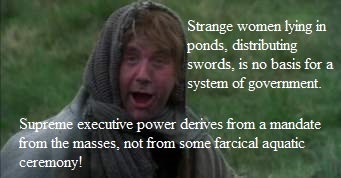 The braver and more popular you seem the more grateful ‘your people’ will be. Sixth – create willing martyrs (it’s not helpful to be a martyr yourself). You need to stay around to profit from other peoples’ martyrdom, not to join them in their misery. Incite others to make stupid gestures, perpetrate crimes and commit acts of violence that you’re not really prepared to do yourself. It’s OK for you to say nasty things so long as there’s no comeback but if there’s any actual violence to be done you need others for that. Then any serious prosecutions will affect them, not you. Seventh – Even though others take the fall you can profit from the argument that you are at great risk yourself. Get yourself arrested on minor charges regularly – it’ll make you seem like the victim of police harassment or a conspiracy by ‘the establishment’. Remember that ‘the establishment’ will be interpreted by your followers as whoever they’re most frightened of so DON’T ever be too specific. Let your followers imagine their own version of ‘The man’. Eighth – Your martyrs aren’t important as people – only as martyrs. Don’t waste your own time and money trying to help them. Their sacrifice is necessary for your gain. Ninth – keep trying to provoke backlash from the group you’ve identified as a threat. That way you get evidence of their hostility that you can use to demonise them even more. This will keep your paranoid followers convinced about the threat you imagined and also keep them devoted to (and donating to) you, personally. Remember above all that you must have martyrs – and lots of them. If the supply of victims from your in group dries up your persuasive appeal will dry up along with it. Whatever else you do, no matter how much you have to lie you absolutely MUST keep people frightened of the out group you’ve chosen to represent the threat. Ideally of course it’s better if there really are victims to capitalise on – they’re always the best for raising funds but if you can’t find any real victims there’s nothing to stop you making some up. Often you don’t even need to be specific – people are much more likely to respond to emotion than to actual information. Just make them feel threatened and they’ll think they know much more than they actually do. As a Shepherd, your job is to keep the Flock interested enough to follow you. They need to identify both threats and Martyrs. If you’re really lucky someone will get badly hurt or killed – the propaganda value of tragedy can never be over-estimated. A terrorist attack is like Gold in your bank account and if you’re persistent you can keep its memory alive to profit from for years to come. 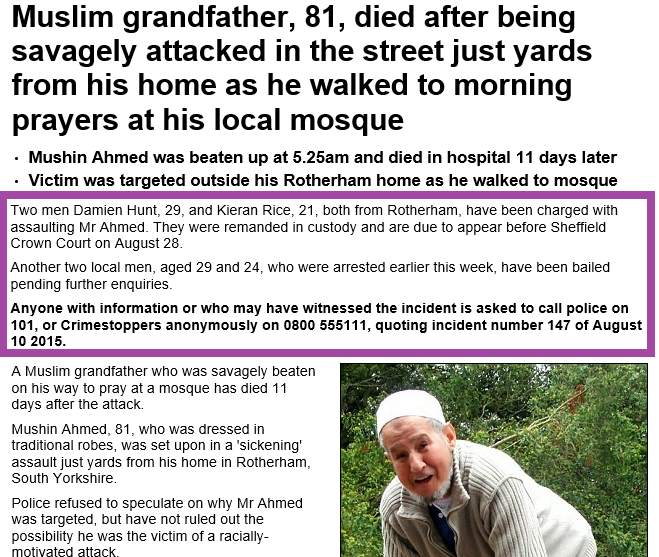 What you really want is the slaughter of innocent people on Britain’s streets. You can make a fortune from that! Be careful though – even the terminally stupid will work out that they’ve been conned eventually. 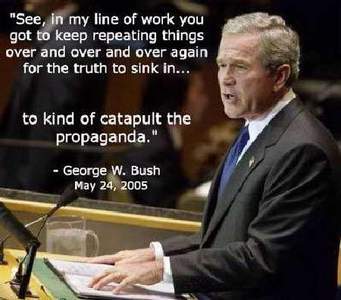 This sort of deception, successful though it is in the short-term, won’t last forever. 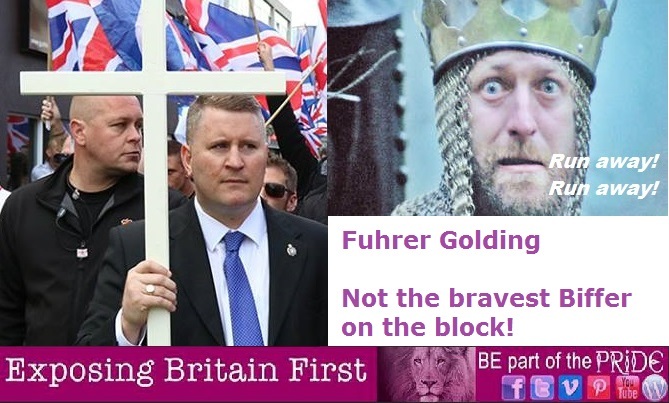 Britain First lost lots of followers after their awful performance in the BBC3 documentary ‘We Want Our Country Back’. That’s not exactly surprising. Unlike the Biffers’ own video editor from ‘One Narrow Door’, the Beeb had no interest in trying to make these tin-pot Nazis look like anything other than what they really are. The documentary exposed this organisation and its members as violent, far right thugs whose only defining characteristics are hatred, stupidity and a cynical obsession with their own aggrandisement. Predictably enough then the Biffers set out on another big fundraising push just as the Beeb’s hour long programme hit the nation’s TV screens. That’s no surprise – the Biffers wanted to replace their lost Facebook likes so it didn’t look too obvious that they were falling (and failing) fast. 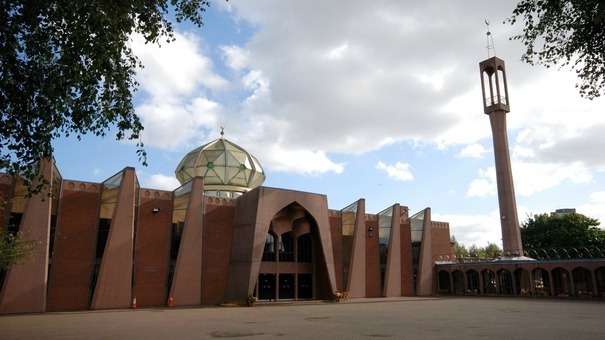 We often see surges in Britain First’s online numbers immediately after fundraising drives. If you watch (especially at night) you can see their figures rise by thousands in the space of a few minutes. Interestingly – these increases often come in ‘round’ numbers. 1,000 here and then an hour or two later 1,000 there. It’s almost as though they buy their likes from Clickfarms. How could anyone ever suspect such a thing? 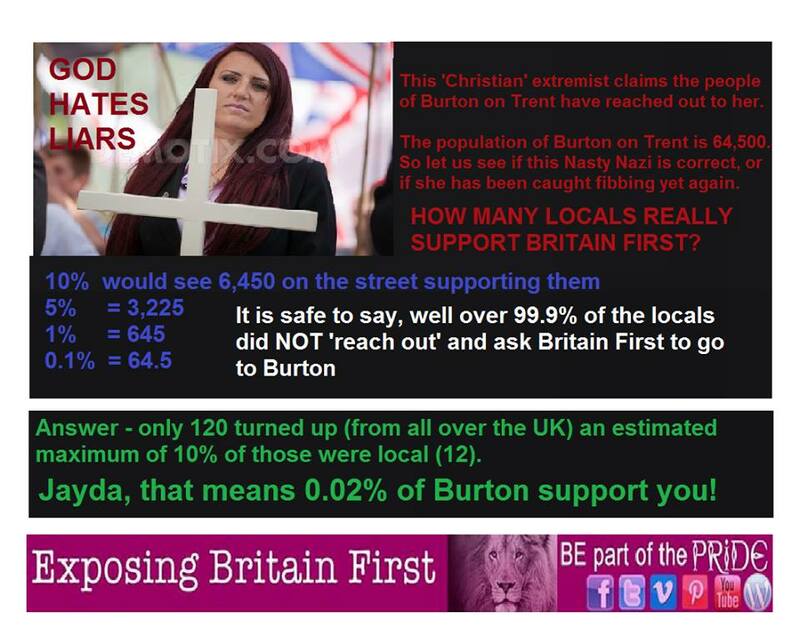 It’s difficult to know how many of Britain First’s likes are genuine but we did a little accounting exercise based upon our own Facebook statistics. It’s a simple enough formula. We looked at the number of likes we have and then at the number of people actually engaged in discussions on our page. That was a bit time consuming but it was worth it. Then we took the second figure and converted it into a percentage of the first to give us our formula. Assuming that the two sets of Facebook ‘followers’ are comparable we now know how to deduce actual likes by counting engagements ‘heads’ in discussion. In the case of our own page, that’s simple to establish. EBF don’t use clickfarms. Nor do we use clickbait so everyone who likes our Facebook page will have a genuine interest in what we do. In Britain First’s case, a large proportion of even the real people who’ve liked their page presumably have no idea who they are and will never visit their page. They’re just clicked and shared a picture of a cute puppy or a nostalgic image from their childhood with no idea about the sinister far-right group whose name they were helping to spread. In our estimate then the top figure is the ‘clean’ figure which we arrived at by assuming that the Biffers percentage ratios are just like our own. The lower figure is our best guess (admittedly based upon very little raw data) at an adjustment for clickbait likes. 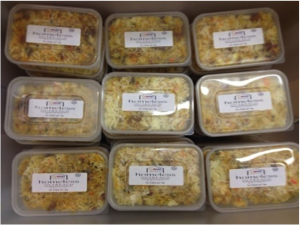 This gives us an estimated total of 155,000 to 185,000 actual Facebook likes. 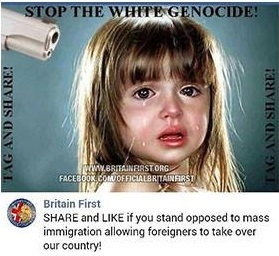 That’s a far cry from the million likes that Britain First would have us believe. Given the Biffers’ extensive use of clickbait (and the fact that almost every meme they put out comes with instructions to ‘like and share’) even these numbers are probably a gross over-estimation of their actual popularity. 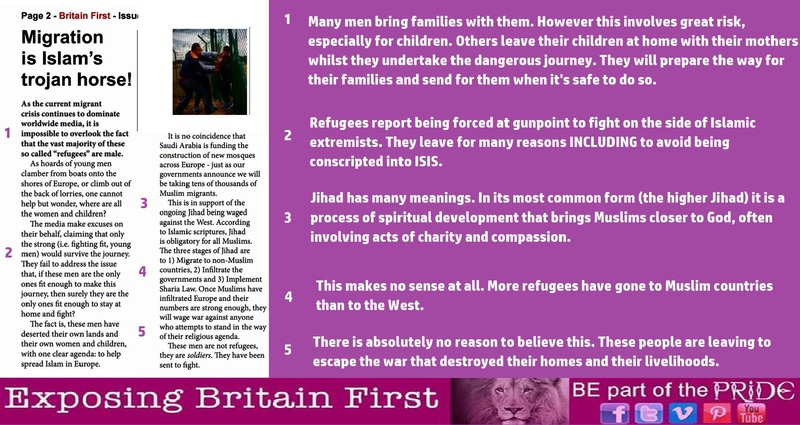 We need to go even further, delving deeper into the deceptive world of Britain First. Once we realise that the Biffers are just as keen to create support in Australia, Russia, Canada and the United States the numbers become even less significant. Uncle Jim Dowson clearly understands the financial value of these overseas markers and many of their likes come from the American right. These are the paranoid, gun-toting, Muslim-hating ‘Christians’ who are always eager to put their money where their gunbelt is – for the ‘right’ cause, of course. A quick scan of the comments on Britain First’s page demonstrates just how many of their supporters live overseas and contribute nothing at all to their meagre UK popularity. Then there are the ‘alts’ – the online Alter-egos that the Biffers have long been encouraging their membership to create. These ‘alts’ are there to harass BF’s political opponents but they also help boost the Biffers’ numbers by clicking ‘like’ whenever they can. 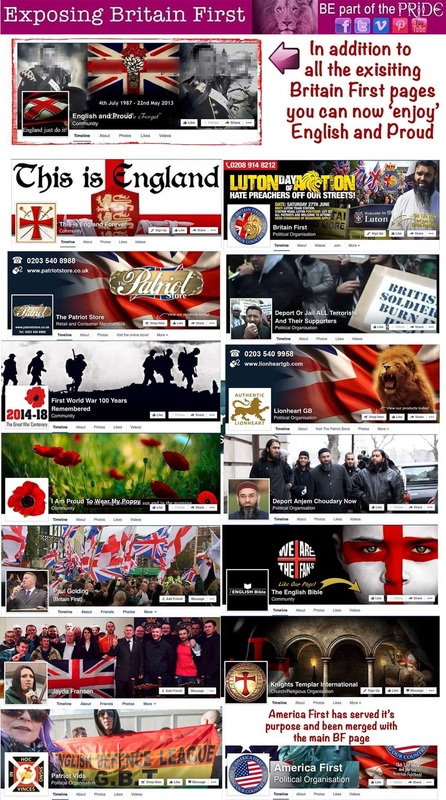 Finally we should include the many feeder pages and mirror sites of Britain First. 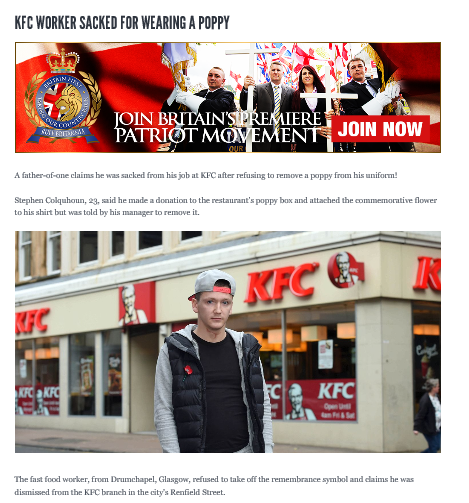 Most people are unaware that these sites are also run by Britain First. Nor do they realise that it’s possible to ‘merge’ likes between their pages. 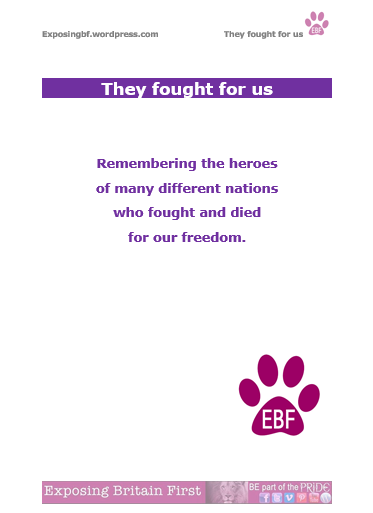 This means that Britain First gets to count likes that actually were meant for mirror sites like one of their many Remembrance Day scam pages. 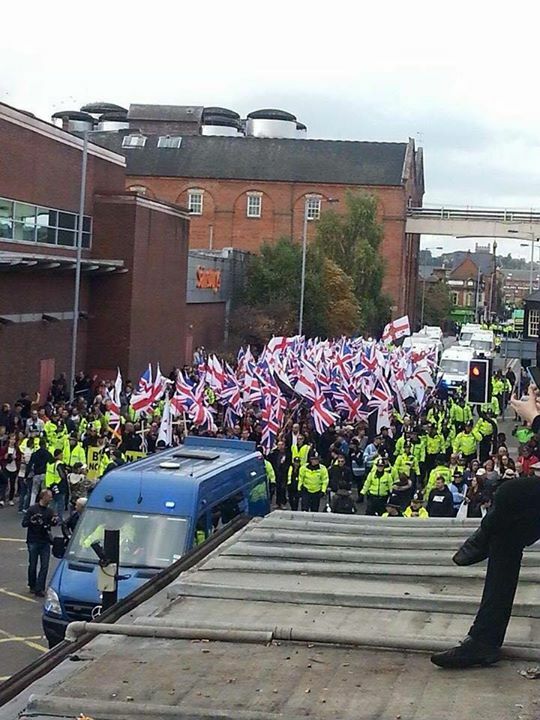 On the street Britain First is nothing much to speak of. They’ve never achieved anything like the numbers of the EDL who really did used to get thousands of Nazis at their zenith. 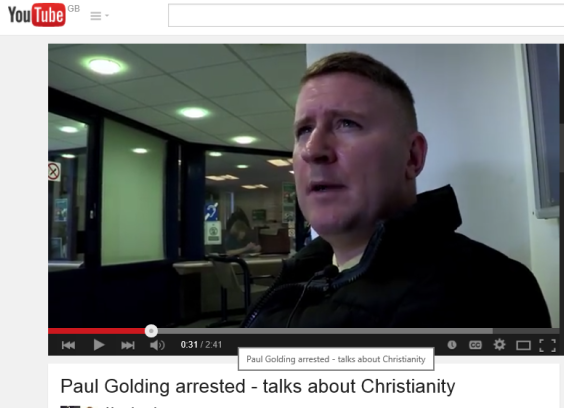 The EDL enjoyed the sorts of numbers that Golding and Fransen can only dream of. 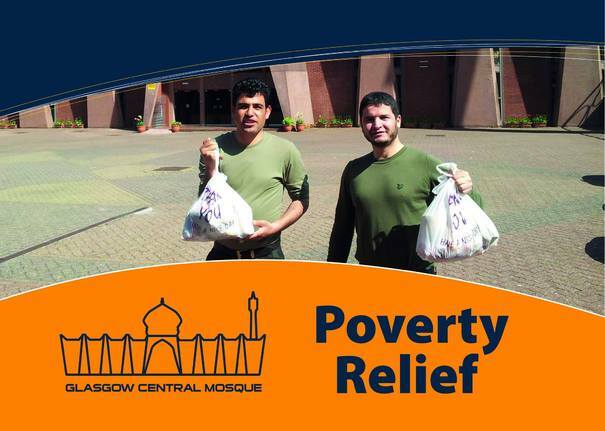 The two organisations are comparable as far as Facebook goes though. Britain First has 150,000 – 185,000 likes. The English Defence League had around 165,000 likes at their peak, just before they lost their Facebook page. 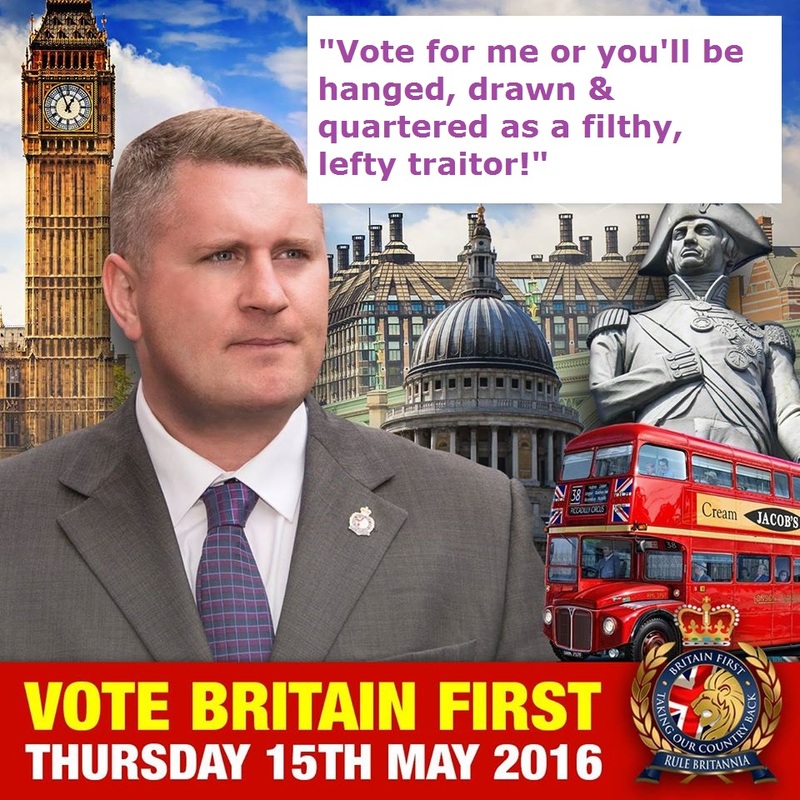 So what went wrong for Britain First? Well – we think it’s pretty clear. The EDL used to draw its numbers from the UK. Its followers were able to get involved because they live here. 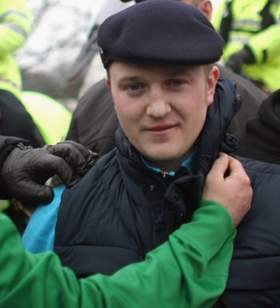 The charisma of Tommy Robinson (real name – Stephen Yaxley Lennon), odious though he was and presumably still is, was a major draw for his organisation. Tommy himself was responsible for much of the group’s appeal. That’s why, following Robinson’s departure the English Defence League fell quickly into obscurity. The EDL still exists but the loss of its only effective leader dealt it a blow from which it will probably never recover. 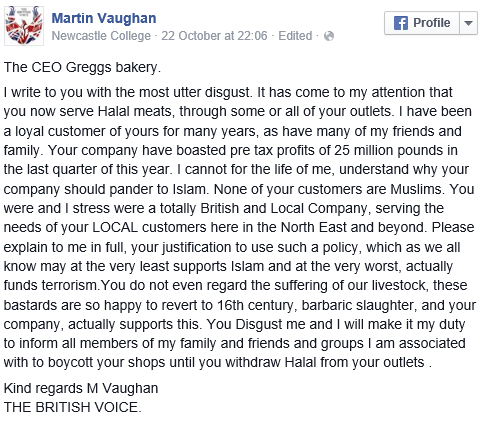 Britain First never had any such leader. 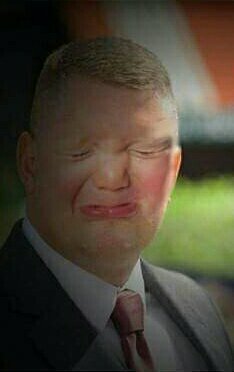 Paul Golding is a buffoon. Even his own ‘flock’ are becoming increasingly comfortable saying so. Whereas Tommy was relatively articulate, Golding is often almost incoherent. His prose is never particularly clever, insightful or uplifting. Whereas Robinson used to give a plausible impression of actual courage, Golding’s constant need for black-clad security and his habit of bullying lone, vulnerable people whilst surrounded by his own ‘Mafia’ is clear evidence of his own cowardice. Whereas Robinson commanded the respect of those around him, Golding’s inner circle is already plotting his downfall. and the Biffers just haven’t got one!